Georgia Tech and the College of Computing mourn the loss of Karsten Schwan, Regents’ Professor and director of the Center for Experimental Research in Computer Systems. A giant of the computing profession, he was responsible for a swath of fundamental computing advances and breakthroughs in areas that include high-performance computing and middleware; he has been widely praised for his strong mentorship of students, many of whom have gone on to have illustrious careers in academia and industry. Dipanjan Sengupta's paper, “GraphReduce: Processing Large-Scale Graphs on Accelerator-Based Systems,” has been selected as one of four candidates for Best Student Paper at SuperComputing 2015! Dipanjan Sengupta will be presenting his paper "GraphReduce: Processing Large-Scale Graphs on Accelerator-Based Systems" at SC 2015 in Austin, TX. Jai Dayal will be presenting his paper "SODA:Science-driven Orchestration of Data Analytics" at EScience 2015 in Munich, Germany. A great showing for the RSVP project! As part of continued engagement with industry, Korvo graduate students are headed off to research-focused internships for the summer. These opportunities cover a broad spectrum of systems, application, and architecture topics and provide a real-world target for research collaboration undertaken at Georgia Tech during the school year. Check back in the fall for more information on what students have learned from their research experiences! EVPath now has a build status page! This page is designed to be a record of both the recent status of the current stable EVPath software stack release, and a historical record of what releases have built on different architectures and machines. Where a non-generic build_config file has been used, a link to that file is included. On (typically HPC) machines which allow different software to be loaded with the 'module' command, we also record the output from 'module info' at the time of the build. 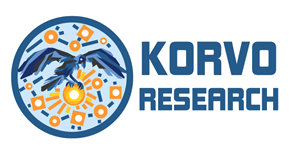 The HPC research from Korvo will be part of the discussion at the Scalable Data Management, Analysis and Visualization Institute (SDAV) all-hands meeting in Santa Fe, NM, March 3 & 4.